All abstracts must be submitted by 19th January 2017 to esrea.psae2017@ateneo.univr.it. All proposals will be blind reviewed by the scientific committee. Acceptance will be confirmed by 27th February 2017. Final versions of papers (no more than 5000 words including references) must be submitted by 19th May 2017. Please use the APA (American Psychological Association) reference system. Presentations: 30 minutes maximum; at least 15 minutes will be allowed for discussion. Language: The conference language is English. How have financial debacles affected adult education and learning policy? How are international organizations inducing reforms in adult education and learning? How is global governance organized in adult education and learning, and how does it affect policy in this area? What economic and social theories are influencing adult education and learning policy? What constitutes policy-relevant research in adult education and learning, and what are its methods and criteria for validity and reliability? What growth, equity and/or social justice concerns are addressed by governments through adult education and learning policy- making? What processes are or could be used to assess the effectiveness of adult education and learning policy in relation to local or national growth and/or social cohesion? What types of imbalance exist in local or national adult education and learning systems (e.g. opportunities, access, benefits)? How are equity and social justice understood, signified and/or interpreted in adult education and learning policy? How are inequalities and social discriminations addressed in adult education and learning policy? What are the implications of political, economic and social instabilities for adult education and learning policy? What are the effects of transnational migration on adult education and learning policy? 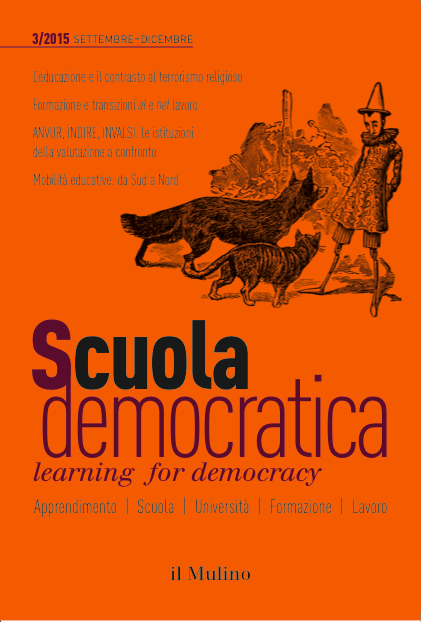 How can we recover the inherently political nature of adult education and learning practice? How can we make operational today the lessons learned from key adult educators and practices of the past? How can we give visibility to marginalized and/or obliterated adult education and learning practices that de facto sustain more equitable and just societal societies? Guidelines for Submission of Proposals: Proposals should be sent as an attached file [in *.doc, *.docx, or *.pdf format]. They should be typed, single spaced, in A4. Author(s) name(s), institutional affiliation(s), phone number(s) and postal details should be stated only in the email accompanying the abstract. Include title and 5 keywords. Paper proposals should not exceed 600 words including: title; 3-5 keywords; aims/objectives; main perspective or theoretical/conceptual framework; methods, research design, mode of inquiry; data sources or evidence; results and/or conclusions; significance to the field of policy studies in adult education. Symposium proposals should not exceed 1200 words including: title; 3-5 keywords; aims/objectives, significance for the field of policy studies in adult education, and short abstracts (approx. 200 words each) of all papers. They should also nominate a Chairperson and Discussant.